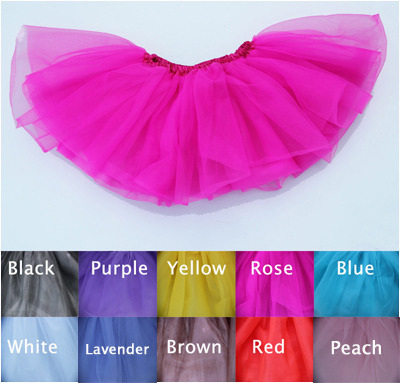 These tutus have a satin covered elastic waistband and 3 layers of tulle per tutu. These will delight any little princess! No longer are pettiskirts just for dancing, but are now haute fashions! You could be a magical princess dress, a ballerina tutu with leotard; or with cowboy boots and denim jacket for an ultra trendy look; with a simple T-shirt just for every day diva outfits. The possibilities are endless! Ideal for autumn and winter. Fashionable and lovely Style in this season!